Rebecca Marston is a Maine native who spent her early years studying in New York City at Barnard and Colombia College. She was a pre-med major studying Mandarin who in her third year decided to switch her major to fit her long time dream of becoming an art teacher. While spending the summers between semesters in Maine, Marston often found herself sneaking down to Boston when things got a bit too quiet for her. Marston graduated in ‘87 with a Fine Arts degree but after some time teaching she realized that it wasn’t going to satisfy her. “I graduated without a clue as to how I was going to make a living. I’d tried teaching one summer between semesters, and though I liked it, I didn’t feel it was going to satisfy me. After college Marston moved back to Maine where she worked in a fabric store in Portland. Soon after she was tapped for an open position as a Property Manager for her boss’ real estate firm. In 2005 Marston opened her own firm and she did it in the neighborhood she’s always dreamed of. 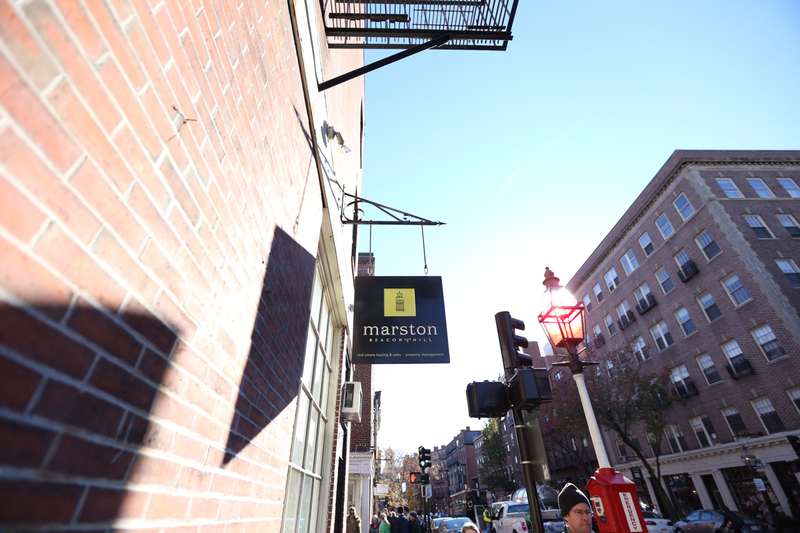 Marston Voss Realty opened on the flat of Beacon Hill at 115 Charles St in December. In no way did Marston take things slow, she jumped right in, by leasing, selling and managing properties. However, in 2007, Marston changed the name to what is now known as Marston Beacon Hill. On her off time, which is usually hard to come by, you can catch Marston jogging along the Charles River or strolling through her favorite part of Beacon Hill, Chestnut Street. Business is as healthy as ever thanks to Masrton’s constant dedication and her great team of go-getters. When asked what 2016 holds for Marston she says that they will continue to provide quality representation to their clients and continue to expand their reach as they come into contact with new customers.